Are you confused by computers? Irritated that you don’t use the internet? Would like to use the internet to shop and bank safely? If so, Computers and a Cuppa is for you. 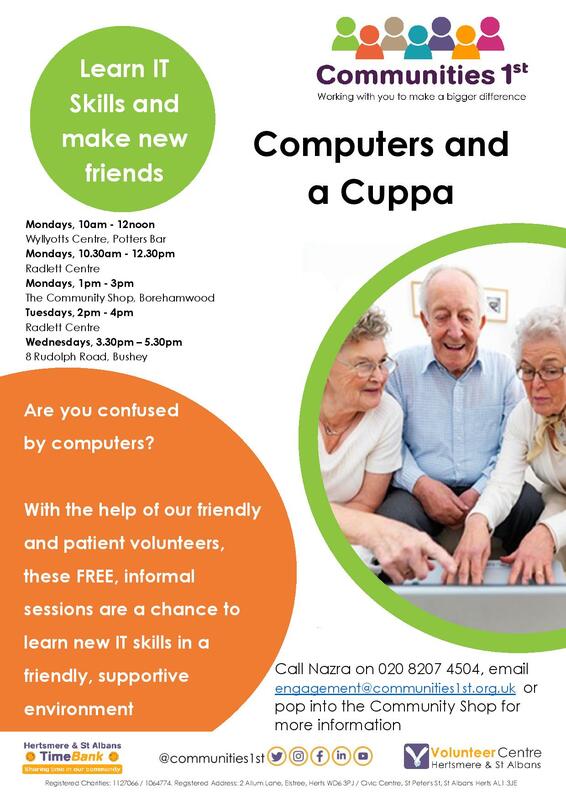 With the help of our friendly and patient volunteers, these free, informal sessions are a chance to learn these skills and more in a friendly, supportive environment. The sessions are aimed at complete beginners or those who would like to improve their skills. You can bring your own device or use one of ours.